The kitchen has become the hub of activity in many households. Often the original kitchen no longer adequately serves the needs of the family. 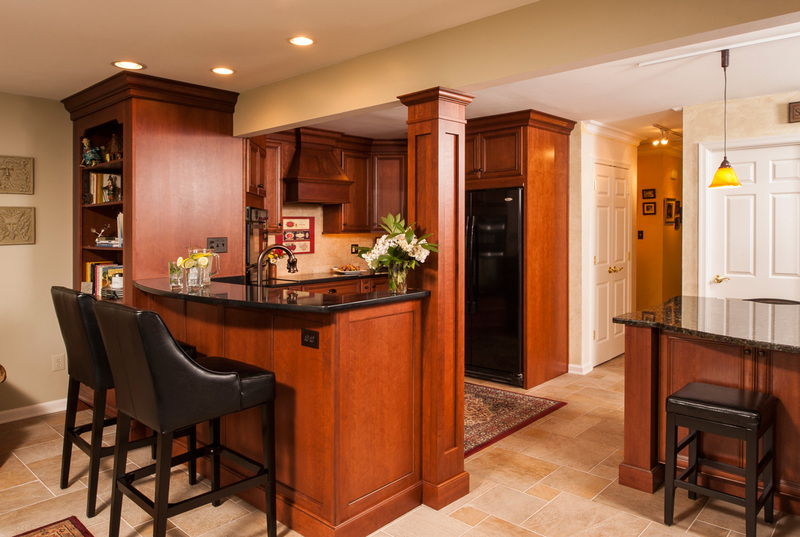 Expanding your kitchen can add counter space and storage areas. A well-designed kitchen makes food preparation and serving pleasurable. 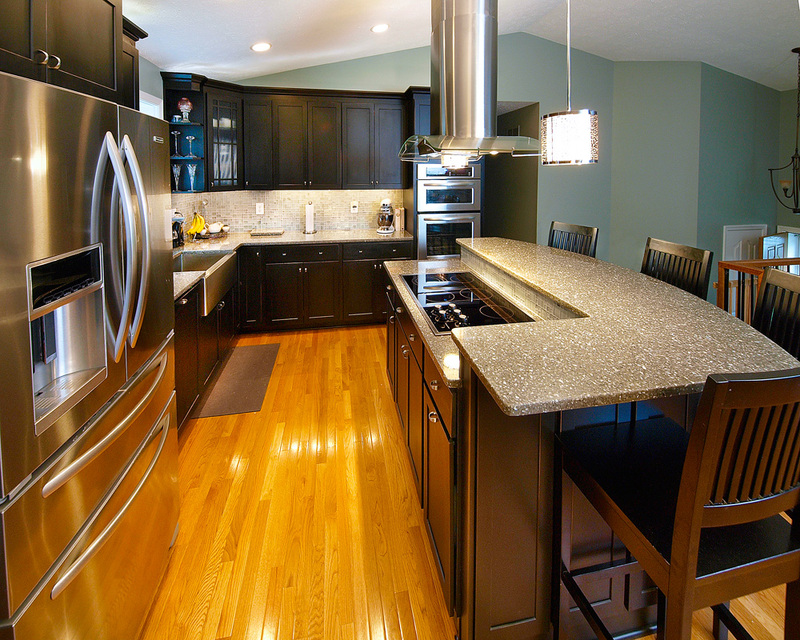 Perhaps one of the biggest reasons that people expand their kitchens is to increase space. If the original kitchen is small, there are numerous ways to enlarge it. Bel Air Construction works with many homeowners to redesign the kitchen and maximize the usable space. Sometimes, removing walls creates a more open and spacious floorplan. Even if the existing walls are load-bearing, creative elements like decorative support columns can be used in place of the removed walls. Kitchens today are multi-functional. Workspaces and dining areas within the kitchen are very common. By increasing the space in the kitchen, homeowners have the room that they need to serve all of these additional functions. Removing walls is not the only way to create space. Through design planning, Bel Air Construction ensures that you maximize the space you have. Built-in appliances help free up counterspace. Storage elements such as built-in spice racks, lazy susans, and tray dividers maximize use of the cabinetry space. Pop-up outlets in the countertops give you the electric that you need without compromising space. Removing bulkheads and installing taller cabinetry increases cabinet space. Lighting is an element that makes a huge difference in terms of design and usability of a kitchen. A poorly lit kitchen feels cramped and not conducive to preparing meals. A well-lit kitchen feels more spacious. Under-cabinet lighting sheds light on the prep areas of all of the countertops. Bel Air Construction’s design team works with you to create a kitchen for your unique needs. A good design takes into account the idea that every family is different, and the perfect kitchen for one family may not be the perfect kitchen for a different family. With unmatched quality and attention to details, Bel Air Construction creates a kitchen that will become the favorite room in your home.